Going by the huge lines at Apple Stores all around the world alone, you knew the numbers where going to be big. Apple have just announced that after only 3 days, sales of the new iPhone 4 have topped 1.7 million units. Doing the math on that, for June 24 – 26, assuming that the iPhone 4 is sold around the clock (which it isn’t), that’s 23,611 iPhone 4’s sold per hour. 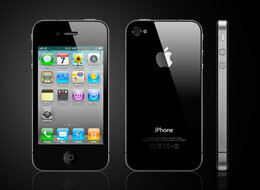 The iPhone 4 is currently only available in the UK, France, Germany and Japan. It is scheduled to go on sale in an additional 18 countries by the end of July—Australia, Austria, Belgium, Canada, Denmark, Finland, Hong Kong, Ireland, Italy, Luxembourg, Netherlands, Norway, New Zealand, Singapore, South Korea, Spain, Sweden and Switzerland.